Jill Stein—Green Party presidential candidate, low-key election spoiler, and the unlikely person making this month very interesting—has filed for a recount in Pennsylvania. 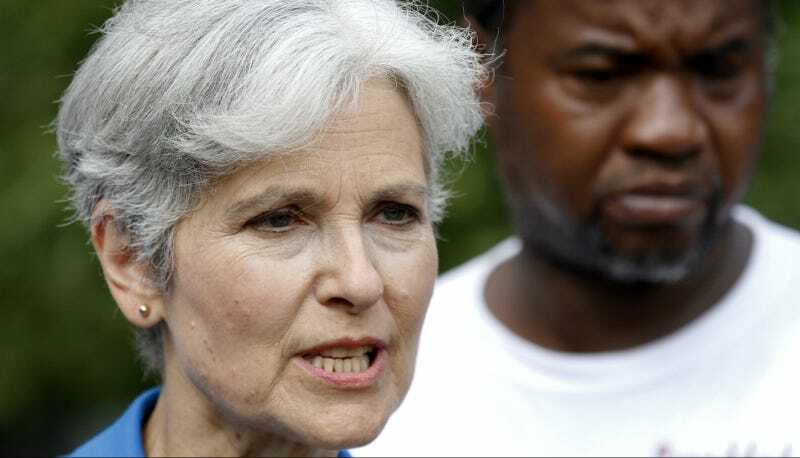 In a fundraising effort she began on Thursday, Stein has raised over $6 million to fund recounts in Wisconsin, Pennsylvania, and Michigan, although whether the recounts will actually, you know, do anything is an open question. Stein formally filed for a recount on Monday in Pennsylvania, after doing so in Wisconsin on Friday, just under the deadline. While several election lawyers and computer scientists have suggested that those three states were particularly vulnerable to hacking or vote-tampering, journalists who monitored the election disagree. In a lengthy, slightly irritable tweetstorm, ProPublica explained that they don’t believe there is any evidence whatsoever of “rigging,” as they put it. In a statement, Stein said, not for the first time, that she’s doing this to ensure the transparency and accuracy of our voting system. Elias is also getting understandably defensive on Twitter about this whole thing. It’s almost reassuring to see that in these trying times, Jill Stein is still a reliable irritant for literally every side of this thing.